Creamy Cilantro Lime Chicken is an incredibly easy recipe of pan-seared chicken in a creamy cilantro-lime sauce. This chicken recipe is a great option for busy weeknights. With only 3 grams of carbohydrates, it’s gluten free and perfect for those who prefer low carb or keto-friendly dishes. Early in the existence of this food blog, I was obsessed with the combination of cilantro and lime. I made recipe after recipe with those flavors (like this similar recipe for Pan Seared Chicken with Coconut Cilantro Lime Sauce). I didn’t share every recipe that I made because it was getting a little out-of-control. But, after a little hiatus, here I am again bringing all of the cilantro and the lime to this Creamy Cilantro Lime Chicken recipe! 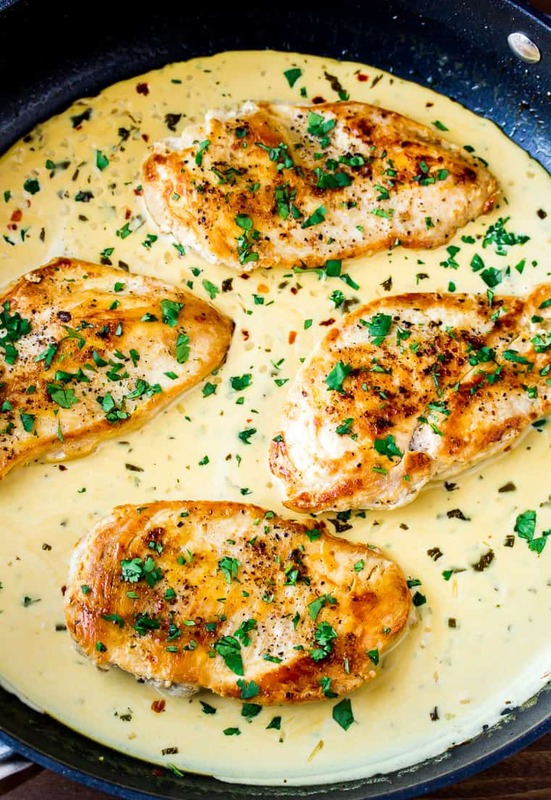 This is just one of many creamy chicken recipes that I’ll be sharing. 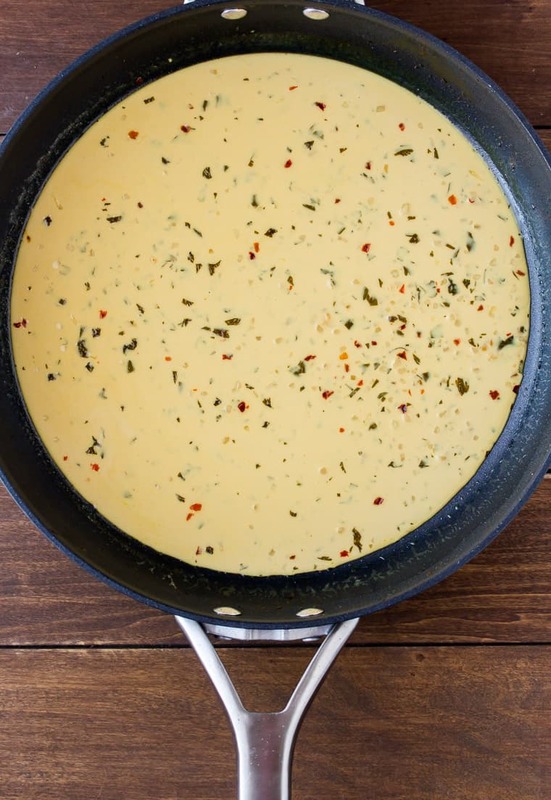 This skillet recipe is gluten free, and with only 3 grabs of carbohydrates per serving, its a perfect choice for those following a low carb or keto diet. As with all of the recipes that I share, if you’re not in any of those categories, you will still love this recipe! 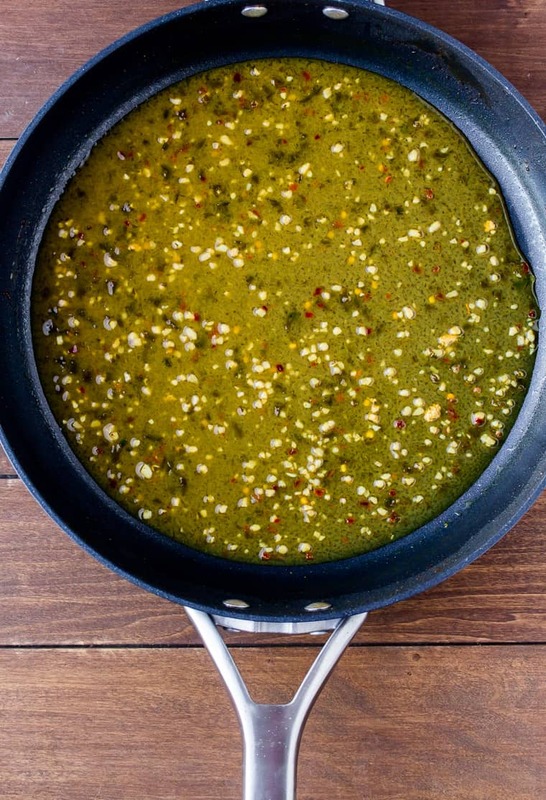 Cilantro and lime are the perfect combination of flavors to use in the sauce. It pairs excellent with chicken. It’s a family-friendly recipe that can be made in only 30 minutes making it a great choice for busy weeknights. It’s a versatile recipe that can be served over mashed cauliflower or with a side of vegetables. This recipe is very low in carbohydrates and 100% gluten free. This recipe is super easy! You only need to mince the garlic and cilantro. Then, have all of your other ingredients out and ready to go. Heat a large skillet over medium heat and add the butter. 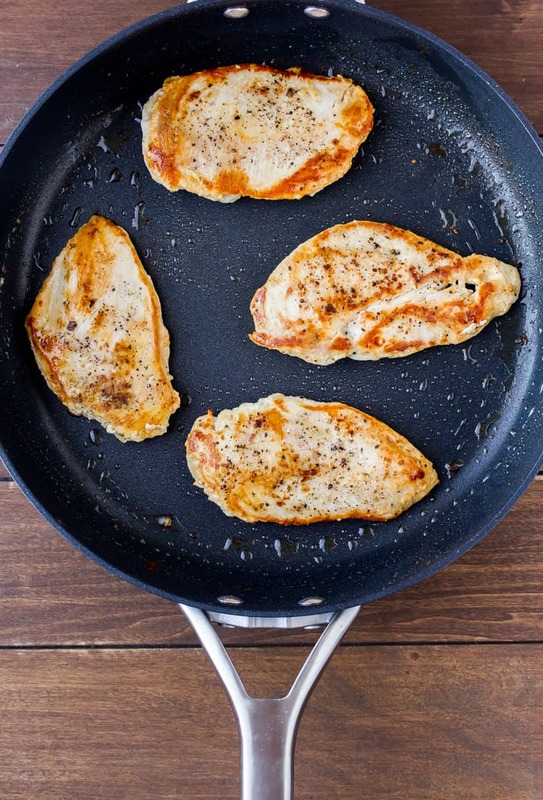 Season the chicken with salt and pepper and add to the hot skillet. Cook the chicken on one side until golden brown, about 6-7 minutes. Flip it over and cook the other side for about 5-7 more minutes, or until the chicken is cooked through and no longer pink in the middle. Remove the chicken to a plate and tent with foil to keep it warm. Add the garlic to the same skillet (no need to clean the pan beforehand). Cook for 30 seconds, stirring constantly. Add the chicken bone broth, 2/3rds of the cilantro, and red pepper flakes, if using. The red pepper flakes give this recipe a mild spiciness. You can omit them, or add extra for more spice! Gently simmer until the liquid is reduced by 1/3, about 10 minutes. Whisk in the heavy cream and half of the lime juice. Taste and add more lime juice, as needed. Place the chicken back in the pan. Spoon sauce over the top, if desired. Top with the remaining cilantro. We usually serve this recipe with a side of broccoli, cauliflower, or Brussels sprouts to keep the whole meal low carb. Fresh cilantro works best in this recipe, however, if you need to use dried, cut the amount in half. The same goes for lime juice – fresh is best. If you use bottled lime juice, start with 1 tablespoon and gradually increase until the sauce reaches your desired flavor. Can you use half and half or milk instead of heavy cream? Yes, you should be able to swap out the heavy cream for half and half or milk, no problem. How do you store leftover Creamy Cilantro Lime Chicken? Store any leftovers in an air-tight container in the refrigerator. Use within 3-4 days. 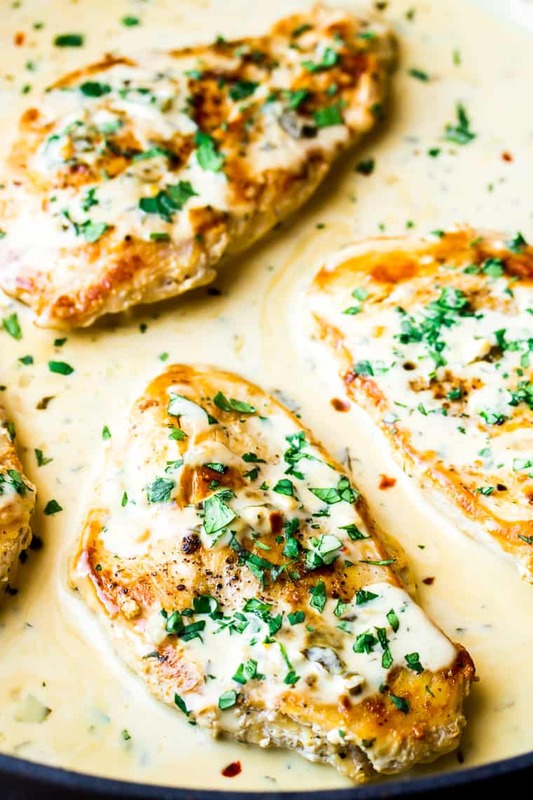 Love this Creamy Cilantro Lime Chicken recipe? Follow me on Pinterest, Instagram, and Facebook for more! Creamy Cilantro Lime Chicken is an incredibly easy recipe of pan-seared chicken in a creamy cilantro-lime sauce. 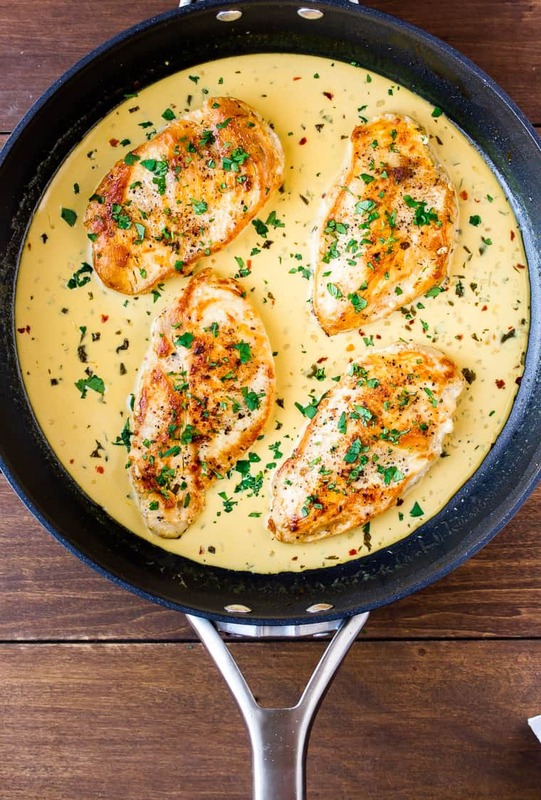 This chicken recipe is a great option for busy weeknights and suitable for those who prefer gluten free, low carb, or keto-friendly dishes. Season the chicken with the salt and pepper and add to the hot skillet. Cook the chicken until golden brown, about 6-7 minutes. Flip and cook the other side for about 5-7 more minutes or until cooked through and no longer pink in the middle. Add the chicken bone broth, 2/3rds of the cilantro, and red pepper flakes, if using. Place the chicken back in the pan and spoon sauce over the top, if desired. Top with the remaining cilantro. The same goes for lime juice. If you use bottled lime juice, start with 1 tablespoon and gradually increase until the sauce reaches your desired flavor. Store leftover Creamy Cilantro Lime Chicken in an air-tight container in the refrigerator. Use within 3-4 days. Just thinking about the combination of cilantro and lime already made me crave for this. This is a must-make recipe and it does look so creamy comforting! just fell in love a little bit. 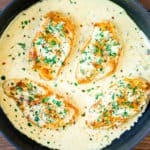 creamy sauces with lime are seriously one of my favorites. this is such a great recipe. I’m totally with you on the cilantro lime combo! This looks amazing! Love the creaminess and that chicken looks so juicy! This is SUCH a great recipe. So flavorful and easy! It’s perfect for weeknights. I’ll be making this one again, thanks! Cilantro and lime are music to my ears. I love anything with this duo. I’m always looking for a new way to prepare chicken and this sounds delicious. I love using cilantro! The combination of the ingredients in this chicken recipe is great. Can’t wait to try it! I just took out a package of chicken breasts to defrost for dinner tonight, but I didn’t have any idea which direction I was going in. I do now! Bonus that I have everything I need to make your delicious recipe!